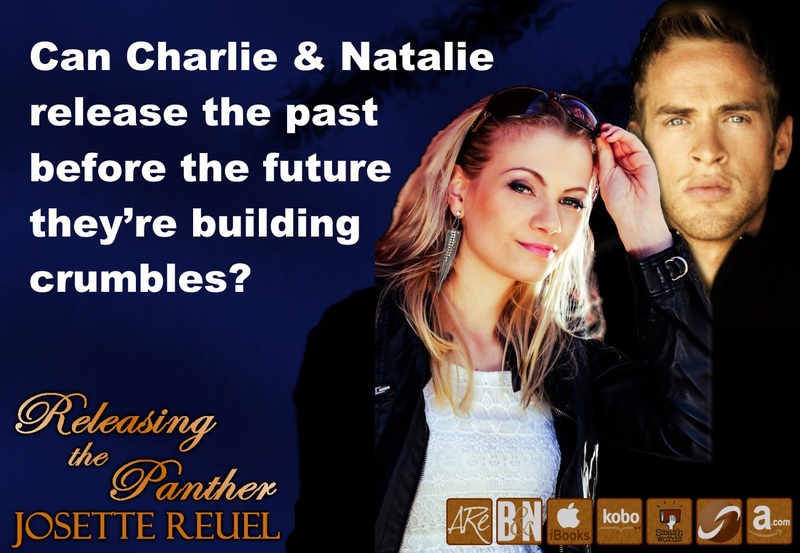 Charlie Gavin is a panther shifter and the Beta of the Thirteen — the group to become the next Dásreach Council. But, to become the council the Thirteen must find their mates. When his best friend and Alpha, Kai Darrow, called, Charlie was happy his friend found his mate, but a bit jealous too. That was until he saw Natalie on the side of the road with her friends after a blown tire. 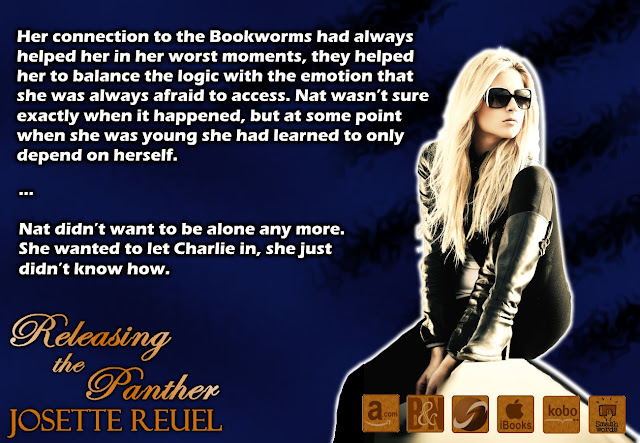 His panther’s natural instincts immediately took control and his passions rose with each interaction with the emotionally distanced ex-Marine. Natalie Matthews, goes by Nat, decided a long time ago that living life only got you hurt. She devoted herself to the Marines and when she began to question her life as a soldier; she retired and began helping wounded soldiers that spoke to her own wounded heart. Her life was rewarding, but lonely, until the Book Worms. Control and logic ruled her life, but paranormal romance and her Book Worms gave her a place to release her deepest hidden desires. Desires that manifested in one cocky British Dásreach panther. Can they release the past before the future they’re building crumbles? Nat sat on the bed in the room where she’d spent the night. She was in shock from what had happened in the kitchen. She was supposed to be on a trip with her girls, but instead of having fun they had been attacked and now kidnapped by crazy people who thought they could shift into animals. Deep breaths, she reminded herself. She was a trained professional who worked with those suffering from many disorders — sufferers and those that supported those who suffered — she could handle a few men with a delusional disorder. What really bothered Nat was that she wasn’t so sure they were delusional. Logically, she knew they had to be, but deep down her heart whispered about possibilities. Was this one of the reasons that she enjoyed paranormal romance so much, was she a closet believer in the unexplained? Maybe she should call her friend from college and set up an appointment once she got the girls out of this mess — she obviously needed some psychoanalyzing. “Argh,” she yelled as she flung herself back on the bed and grabbed a pillow to cover her face. The soft cotton was soaked in sandalwood, the earthy smell of the man that kept intruding on her thoughts. His blond hair and blue-green hazel eyes had haunted her from the moment she’d first seen him. Him and that damn panther tattoo. How she wished she’d fought against going to the tattoo shop now. Damn it, she should have talked Al and Rogue into going to one of the other book events in any other state than Louisiana. Then they wouldn’t be in this mess. She groaned. Nat prided herself on always facing things head on, but today… all she wanted to do was hide under the blankets. A knock on the door caused her to groan. She wasn’t ready to talk to her friends. She had no answers to give them. Josette Reuel spent many years in the corporate world writing stuffy computer software manuals, until one day a shape-shifting dragon kidnapped her and dragged her off to be his destined mate... as the words flowed on to the page, she realized that it was time to fulfill her lifelong dream of becoming a published author. 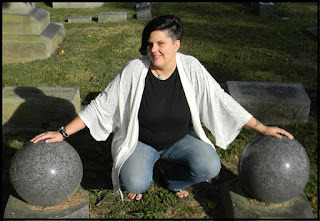 An avid reader from her earliest memories, Josette enjoys many genres; however her current passion is anything Romance. Her love of Fantasy and the Paranormal tends to come out in all of her writing with strong alpha heroes, each with a little something extra and always with a large dose of humanity. Finding the Dragon — the first book in the Dásreach Council Novels — was her debut novel. She currently has three Dásreach novels and four short stories published on most major retailers. The future promises to be full of more great releases. Thank you for participating in the book blast for "Releasing the Panther."